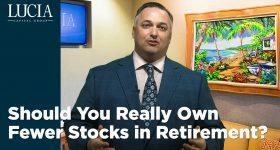 I told you last week about the little-known secret of Required Minimum Distributions (RMD) – that you can take an in-kind distribution without having to sell any securities. You’d simply shift it from your pre-tax to your post-tax account, and it’s done. Well, here’s another idea for you, one that you might have also overlooked. As we approach the end of the year, this could be a real help if you have both a required minimum distribution, AND you’re looking to donate to a qualified public charity for tax year 2017. It’s called a Qualified Charitable Distribution, or QCD for short. 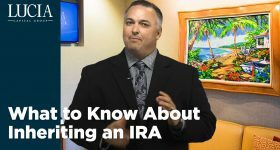 Here’s how it works: you figure out what your RMD is for that year on your total IRA balances. Then you tell your IRA custodian that you’d like to make a QCD to a public charity that you’ve chosen ahead of time, and then have them make the check out directly to the charity instead of to you personally. 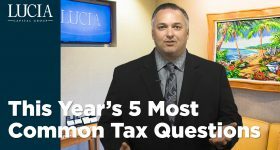 The result is that by sending the money via a QCD directly from your IRA, your charity receives the money you intended them to get, AND it satisfies your RMD for this year for your IRAs. You might ask, “Why not take the RMD myself as normal, and then turn around and write a personal check to the charity? The RMD is taxable, the check to the charity is deductible, and they wash each other out, right?” Well, not necessarily. This is because the RMD income is above-the-line, and the deduction is below-the-line. 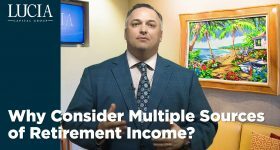 This means that the RMD increases your Adjusted Gross Income, which can increase the taxability of your Social Security, increase your Medicare premiums, and phase out some itemized deductions, among other things. It creates a kind of ripple effect across your tax return. By doing a Qualified Charitable Distribution, you avoid increasing your AGI with your RMD, thus potentially avoiding those pitfalls I mentioned a moment ago. A few rules for doing a QCD: First, the IRA owner must be at least age 70 ½ to do this. So if you don’t turn 70 ½ until the end of December, you may not be able to do it for this year. Also, you can’t donate more than $100,000 per year through a QCD. This is per-taxpayer, so a married couple can each do up to $100,000 if each distribution comes from his or her respective IRA. And third, this works only for individual IRAs, and not from any kind of employer-sponsored retirement plan. There are a few other rules as well, so check with your advisor before doing this to see if it makes sense for you. But if you want to potentially maximize the benefits of charitable giving, a QCD could be just what the doctor ordered!